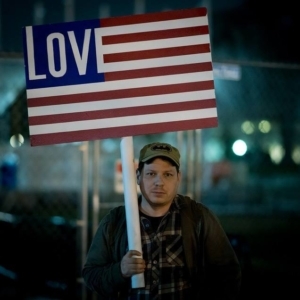 Gathered here are 170 poets, including Philip Levine, Bernadette Mayer, Vijay Seshadri, Edward Hirsch, Aracelis Girmay, Martín Espada, Gregory Pardlo, Kimiko Hahn, Tom Sleigh, Lemon Andersen, Kim Addonizio, Patricia Spears Jones, Timothy Donnelly, Tyehimba Jess, Matthea Harvey, Cathy Park Hong, Matthew Rohrer, Dorothea Lasky, Anselm Berrigan, Angel Nafis, Joanna Fuhrman, Leigh Stein, Morgan Parker, Ocean Vuong, Tommy Pico, Wendy Xu, former Brooklyn Poet Laureate D. Nurkse, current Brooklyn Poet Laureate Tina Chang, and many more. At a pivotal point in our history, the voices in this anthology are a testament to the survival of differences. No voice is like another, no vision exactly the same, no cry or incantation a mimicry of another’s. This is a compilation of individual longing, documented, spoken, and sung. 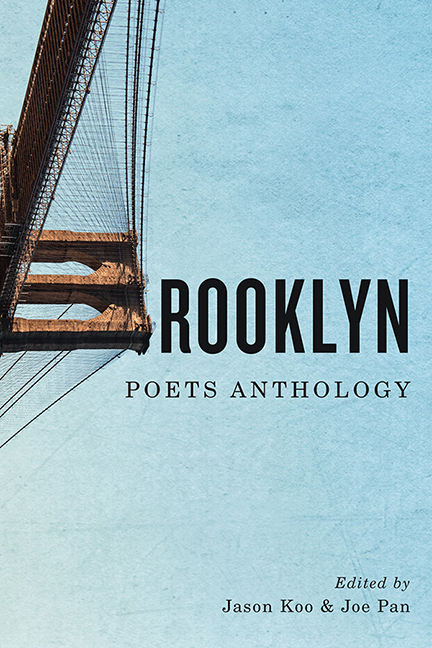 The Brooklyn Poets Anthology is an object of celebration, a map of deep longing, and a cultural compass which will show us what it was like to head most boldly into the twenty-first century, what it was like to make noise, to stand against silence, and to create art in a borough that is a proclaimed safe haven for the multitudinous voices who call Brooklyn their home. 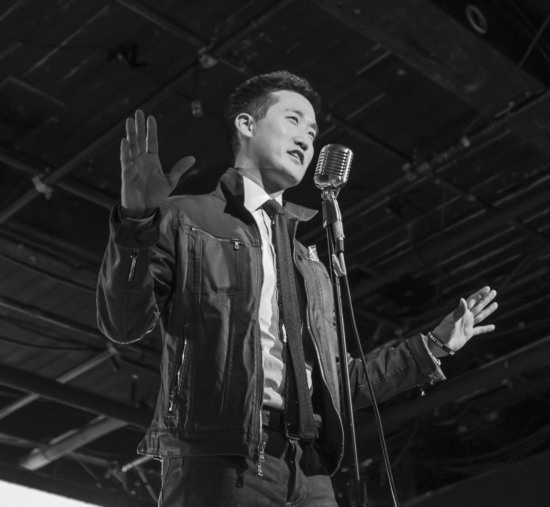 Named one of the “100 Most Influential People in Brooklyn Culture” by Brooklyn Magazine, Jason Koo is the founder and executive director of Brooklyn Poets and creator of the Bridge (poetsbridge.org). He is the author of two collections of poetry, America’s Favorite Poem (C&R Press, 2014) and Man on Extremely Small Island (C&R Press, 2009), and an assistant teaching professor of English at Quinnipiac University. Joe Pan is the author of Hiccups (Augury Books) and Autobiomythography & Gallery (BAP). He is the founder and publisher of Brooklyn Arts Press, honored in 2016 with a National Book Award win. He serves as the fiction editor for the arts magazine Hyperallergic and is the founder of the services-oriented activist group Brooklyn Artists Helping.